“History is written by the victors,” we learn at the start of Viceroy’s House. 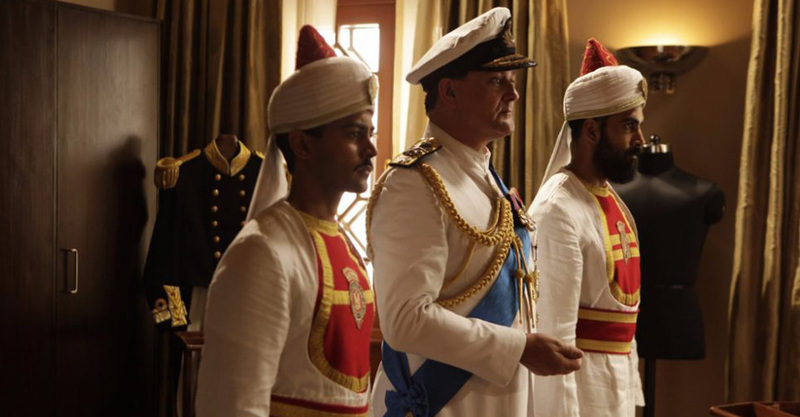 Kenya-born British-Punjabi filmmaker Gurinda Chadha’s story is a riveting and deeply disturbing account of the transfer of power from Britain to India in 1947 after 200 years of colonial rule. The dramatic core of Chadha and co-scenarists Paul Mayeda Berges and Moira Buffini’s essentially political drama is that what followed was a disaster, causing the largest mass migration in world history. Britain callously carved up India to create Muslim Pakistan, giving birth to still-existing religious and political tensions. 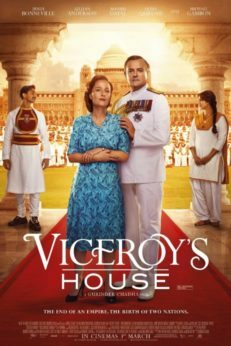 The film centers on the eponymous Viceroy’s House, home of British rulers of India for almost 200 years, where the last Viceroy Lord Mountbatten (Hugh Bonneville, making fine amends for Paddington Bear and upper-crust soap Downton Abbey) arrives to execute the handover. But, though comfortable in a magnificent mansion with 500 Hindu, Muslim, and Sikh servants to ease the way, Mountbatten is faced with Muhammad Ali Jinnah, Jawaharlal Nehru, and Mahatma Gandhi arriving to dispute the details of independence. 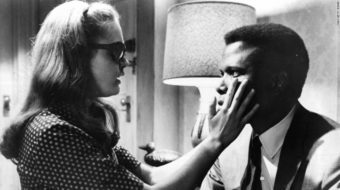 While the narrative includes a standard Romeo and Juliet-style romance between young lovers divided like their country, the key story – one of governmental skullduggery and the near-destruction of a nation dismembered for political deals – grips. It’s told with vivid use of locations and hits hard, helped by strong performances by Bonneville, Gillian Anderson as his wife, and Simon Callow as Cyril Radcliffe, a Briton with an unexpected conscience. Gandhi, and Jinnah in particular, are astringently played by Denzil Smith and Tanveer Ghani. Uniquely, the film reveals that the British partition of India and Pakistan was not in fact down to Lord Mountbatten but was pre-planned and forced upon him to execute. Winston Churchill (quoted as describing Indians as “primitive”) appears to be the Machiavellian villain behind the action that brought about death and destruction in the savage slicing up of India. Vivid and compelling, Viceroy’s House is something of a must-see. 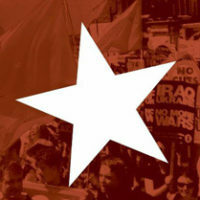 Released 3/1 in the U.K.
Alan Frank writes movie reviews for Morning Star, the socialist daily newspaper published in Great Britain.